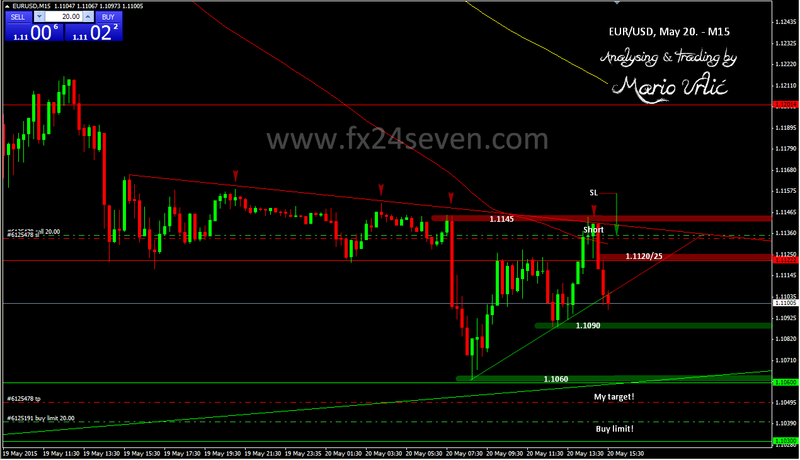 Based on my previous analysis, setup and expetation, I am short in the EUR/USD now and I will try to take this trade. You can see why I opened my short here at 1.1135, with tight SL, moved now at BE after the pair broke 1.1120 again. Market is nervous in the expetation of FOMC today, anything could happen. It would be nice to take this trade and cover all potential risk in my buy limit order, which is placed at 1.1040! Be careful today traders and don’t trade based on this short now, it could go anywhere from here. Risk on this trade was 0,35% of my capital, RR ratio setup is 1:5!